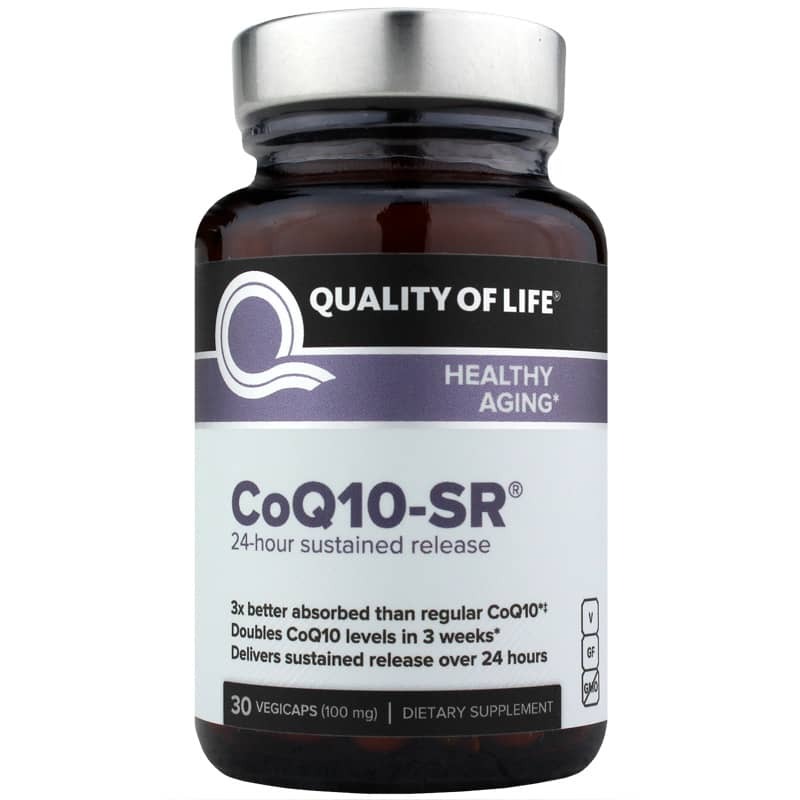 CoQ10-SR from Quality of Life delivers 100 mg of bioavailable CoQ10 to support your health. 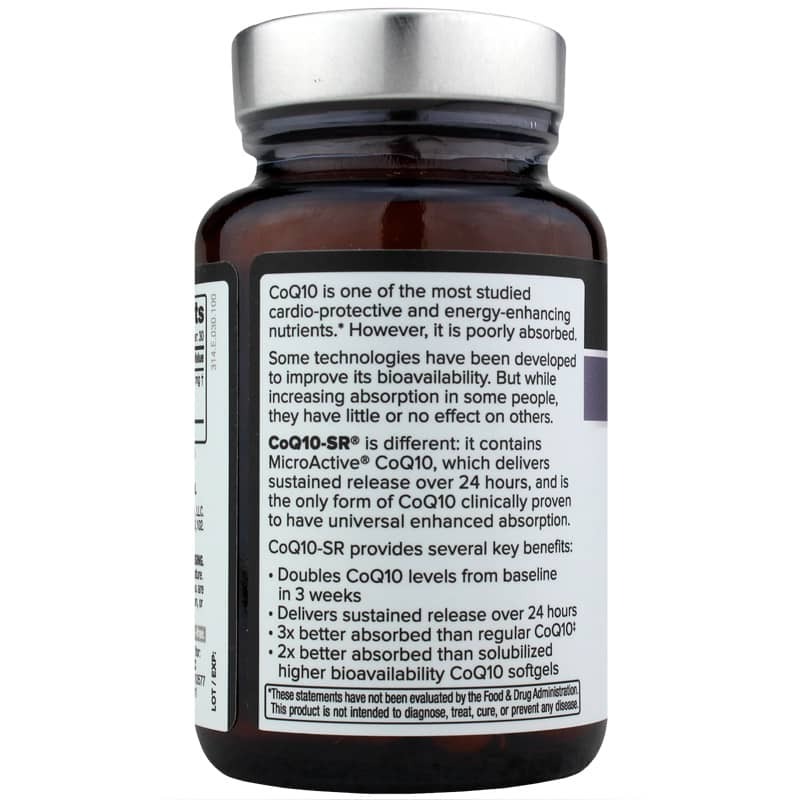 CoQ10, or coenzyme Q10 is a vitamin-like substance that your body produces naturally. The body uses CoQ10 in several processes, including energy production and cell growth and maintenance. It also functions as an antioxidant, which is a substance that seeks to protect cells from oxidation. When cells oxidize, they can produce free radicals and cause damage to healthy cells. Because CoQ10 can be difficult for your body to absorb, Quality of Life uses a microactive form that is highly bioavailable and easily absorbed. 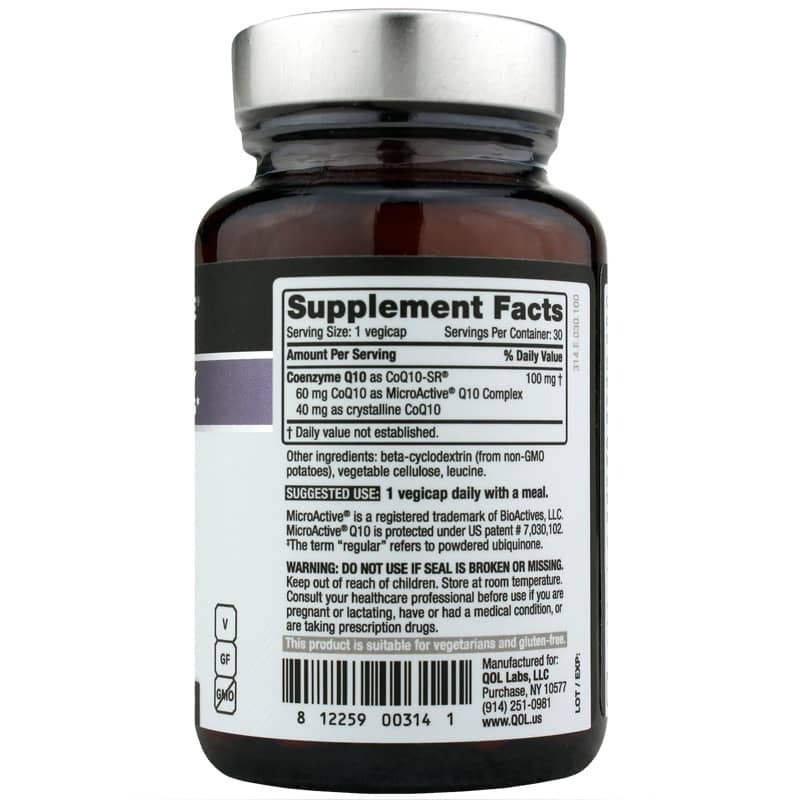 It delivers CoQ10 in a sustained release format, so your body can get more of the potential benefits. If you’re looking for a CoQ10 supplement that offers antioxidant support and is easily absorbed, try CoQ10-SR from Quality of Life. Adults: 1 vegicap daily with a meal. Seems to be doing exactly what my doctor said it would do.